No trip to Belize is complete without visiting the Orange Walk District, located just over an hour from Belize City. From the awe-inspiring Mayan ruins of Lamanai to the dense tropical forest that is home to thousands of exotic animal and plant species, this region has something for every traveler. 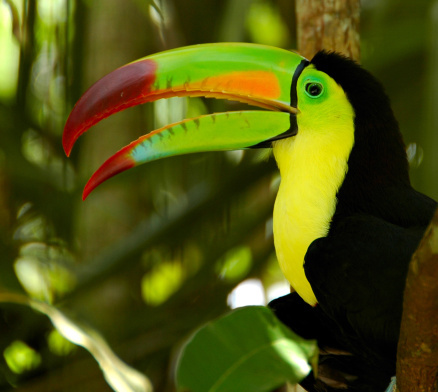 Take a trip on the New River to access the Jaguar Temple and see toucans and crocodiles. Visit freshwater Honey Camp Lagoon for a day of swimming and enjoying nature. Traditional Mestizo culture mixed with Spanish influence and Mennonite communities creates a unique cultural experience that should not be missed. The Orange Walk District is located in Northwestern Belize, near the border of Guatemala. Lush forests, exotic wildlife, and ancient ruins meld with traditional Mestizo culture, making this region one of the most unique in Belize. Only about an hour away from Belize City, the district capital of Orange Walk Town is a great starting point for exploring this beautiful region. Some of the oldest and most stunning Mayan temples grace this region. The ancient area of Lamanai is an archeological site spreading more than two miles and includes the Mask Temple and the Jaguar Temple. This area is thought to have been occupied as early as 100 B.C. One of the best ways to access Lamanai is by river boat up the winding New River. The trip takes a little over an hour, but the beautiful rainforest provides more than enough site-seeing during the trip. The dense tropical forest is a haven for regional wildlife. More than 400 species of bird, howler monkeys and crocodiles are just a few of the local treats. An immense array of plant life including mahogany trees, several species of orchid and many traditional medicine plants populate the region. The Orange Walk District is an easy-to-access ecological paradise, and anyone interested in eco-tourism should visit this fertile region of Belize. A mix of Mestizo, Spanish and Belizean culture makes this district a unique cultural experience. Visits to traditional Mestizo and Mennonite villages in the area can be arranged through tourist agencies. A trip to places like Queen Elizabeth park in Orange Walk Town where music and local fairs are popular or Honey Camp Lagoon where locals go to swim and picnic will give visitors a good feel for daily life in the area. Local food is another great way to get to know the culture. While visiting any of the towns, keep an eye out for traditional dishes such as Dukunu or Poc Chuc or delicious street barbeque.